The goal of these discipline specific workshops is to increase participation of women and members of underrepresented groups within a specific computing research area. Discipline Specific Workshops provide career mentoring and networking opportunities in the context of a specific research area. Workshops include coverage of technical topics such as important recent results and future related research directions. These workshops are commonly co-located with major conferences in the sub-field. The workshops focus on helping young researchers at the graduate or post-graduate level become interested in and knowledgeable about the research and research paradigms of a specific discipline. If you are interested in attending a Discipline Specific Workshop, check out the upcoming DSW events. If you are interested in organizing and hosting a Discipline Specific Workshop, review eligibility and see how to apply. The DSW program was a joint project of CRA-W and the Coalition to Diversify Computing (CDC) until 2016, and continues today as a CRA-W program. This material is based upon work supported by the National Science Foundation under Grant Number (1246649). Any opinions, findings, and conclusions or recommendations expressed in this material are those of the author(s) and do not necessarily reflect the views of the National Science Foundation. Discipline Specific Workshop hosts should be working in a research area consistent with the topic of the proposed Discipline Specific Workshop. Because this program operates with funding from the U.S. National Science Foundation, the DSW host must be attending or affiliated with an institution in the United States or its territories. In addition, the workshop location should be considered as “domestic travel” from the United States or its territories as defined by NSF. Please submit your request at least 6 months before the planned workshop. Submitted proposals will be reviewed June 15th and December 15th of every year, but we expect most of the program funds to go towards the June 15th pool and we encourage you to submit by this deadline. Funding notifications will be sent roughly within one month of the review date. Prospective workshop organizers are requested to complete the DSW Proposal application at least 6-9 months prior to the proposed workshop date. Form a team of organizers to plan the event. Select one person to be the DSW contact person and at least one person to be the DSW organizer (we encourage more than one organizer). The best workshops include a very diverse team of organizers/proposers. Select a site at which to host the workshop. Some have been held co-located with leading conferences in the field, while others have been held at universities or other sites. Co-locating with existing conferences helps reduce funding requirements (many speakers are already there), and encourages student participants to attend the key conference relevant to the DSW topic. Prepare a draft budget, including an estimated total value and a brief description of the budget breakdown. Provide a potential date for the workshop. Choose 1-3 research areas the proposed workshop will be focus on. Prepare a 2-4 page proposal, details on what to include can be found in the FAQ Section. Submit all the following details through the DSW portal. You will receive funding notifications within 1 month of review date from DSW program chairs. See FAQ for details on planning a workshop, budget and finances, reporting and feedback surveys. Funding may be available for participants in Discipline Specific Workshops if they meet the eligibility requirements listed below. Participants will be notified of any travel assistance upon acceptance to the workshop. If funded, the participant will need to submit a CRA Reimbursement Form after the workshop and be directly reimbursed up to the approved limit, for reasonable expenses incurred such as travel, lodging, and meals associated with the workshop. Reimbursements are based on actual qualifying expenses, CRA will not reimburse per diem. I am attending or affiliated with an institution in the United States or its territories. I am part of an underrepresented group in computing. We follow the official definitions as to who qualifies as being a member of an underrepresented group. Groups that are underrepresented in computing include women, African Americans, Mexican-Americans, Native Americans (American Indians, Alaska Natives, and Native Hawaiians), Pacific Islanders, mainland Puerto Ricans, individuals who identify as part of the LGBTQI community, and persons with disabilities. NOTE: Priority will be given to DSW applicants who are a citizen or permanent resident of the United States or its territories. Please use the CRA Reimbursement Guidelines when completing the CRA Expense Reimbursement Form. Note to DSW Organizers: CRA-W has received funds from the National Science Foundation under the Broadening Participation in Computing Program to partially support discipline-specific workshops in the computing community that will later be sustained by the community. 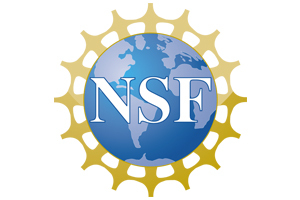 The funds received from NSF are allocated primarily for participant support (i.e. travel support, lodging, and subsistence) with a small amount available for meeting expenses, such as A/V meeting room rental, etc. Therefore, there are no funds available under this grant for support of salaries, wages or overhead for the sponsoring institution. Send any inquiries or questions about the DSW program to dsw@cra.org. What should a DSW proposal include? Full contact information for the organizers. We recommend diverse teams of organizers. Research focus area of the workshop. Proposed dates for the workshop. Proposed workshop agenda (1-1.5 days). Location: At a university, or co-location before/after a conference. Estimated number of workshop participants. These workshops are intended to be targeted at undergraduates, and/or graduate students, and/or junior post-PhD researchers. A timeline as to when you plan to do things, such as advertising, etc. – Advertising plans. How do you intend to reach out to underrepresented groups? Past experiences with mentoring of or organizing events for women or underrepresented minorities. Proposed budget and requested support from CRA-W.
Fundraising plans (Industry, ACM SIG support, and others). We expect proposals to show high leverage of CRA-W funds with donations from other sources. Sustainability plan: How might this workshop be offered again in the future with reduced or no support from CRA-W? experience with robotics including classes taken, research, volunteer experience, publications, etc. Advertising and Publicity Plan: How are you going to advertise and publicize this event? Refer to the ‘What should I include in my Advertising and Publicity plan?’ FAQ for ideas. For a DSW what Local Arrangements do I need to make? As soon as your funding is approved, finalize dates, if you are hosting the workshop at an Institution make sure to reserve a room. If you choose to host it at a hotel: select a hotel and negotiate a block room rate. In both cases reserve appropriately sized rooms. After your proposal has been submitted and approved, please determine location and dates. Email dsw@cra.org to provide them the Dates, Location, Official Workshop Title, and webpage URL. We follow the official definitions as to who qualifies as being a member of an underrepresented group. Groups that are underrepresented in computing include women, African Americans, Native Americans (American Indians, Alaska Natives, and Native Hawaiians), Pacific Islanders, Hispanic U.S. citizens and permanent residents (including Mexican-Americans, and mainland Puerto Ricans), individuals who identify as part of the LGBTQAI community, and persons with disabilities. Email: Consider email lists for appropriate ACM SIGs. Using mailing lists such as: researcHers, systers, and others (Hyperlink to Mailing List page). Some fields (e.g. computer architecture) have particular lists for women in the field. Flyers: Providing flyers at the main conference of the discipline, is a good tactic for increasing attendance. Refer to Resources for sample and flyer template. TIP: It is wise to consider the date of this conference when deciding on workshop dates and application deadlines etc. Social Media: CRA-W, Universities, and certain ACM SIGS have social media accounts on Twitter, Facebook, and LinkedIn. Reach out to them on Social Media platforms asking them to promote your Discipline Specific Workshop. 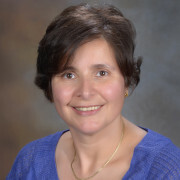 If you would like to promote your DSW on CRA-W platforms, please contact Daniela Cardenas. Photos: Post photos on your website or social media platforms before, during, and after the session to facilitate the efforts of the DSW. Workshops can have a variety of program styles. In the past DSWs have included panels, more traditional 20-30 minute talks, poster sessions, etc. One workshop even included a parallel programming contest! Balance sessions with a technical focus against other sessions on career development or other topics. Poster Sessions are a useful way to keep the participants active. You could even have 2 poster sessions; half the participants present their poster during one poster session (while the other half is part of the audience) and then for the second poster session the roles are reversed. There’s some advantage to doing posters early in the workshop so people can follow up with further conversations. We suggest you maintain a fairly tight focus on the discipline. Leave time in individual sessions for questions, and time for Q&A overall. Include lots of interactive exercises and small-group activities along with talks. Technical content is important, but don’t bog down in technical detail. Aim technical sessions toward “becoming a researcher in this area” rather than toward “learning EVERYTHING about this area”. Include some visionary talks about an area rather than all about the specifics of individual research projects. Ensure lots of mixing between participants, panelists, etc. Consider using a “random number” approach to assign seats at tables, such that people sit with new people rather than with the friends they already know. People like opportunities for informal interaction (picnics, etc. ), especially when it lets them move around and socialize with many people rather than being constrained. When should I invite individuals to be speakers/panelists at my DSW? It is good to invite key speakers/panelists 3-5 months in advance where possible. Students are more likely to apply to participate in the workshop, if your agenda has speakers/panelists they have heard of. Remind speakers to interact with participants proactively at breaks & meals and not cluster among themselves too much; some participants are shy and, if speakers are talking to each other, they won’t approach. Give speakers advance information about audience: E.g., a 50-50 mix of grad students vs. undergrads, vs. junior faculty, any special interests noted in applications. Speakers may appreciate some guidance in advance regarding suggested talk content. In addition, providing speakers PowerPoint templates, will make your workshop seem more professional and consistent. Have each speaker have a “1 slide” description of his/her life outside of work. Leave time in individual sessions for questions. What do I need to do once the workshop is over? You will receive an e-mail from a CERP evaluator (dsw_eval@cra.org) in regards to a follow-up evaluation of your DSW workshop. CERP‘s goal is to evaluate the effectiveness of programs aimed at increasing women and minority individuals’ participation in computing. As a DSW host, it is your responsibility to provide the CERP evaluator the requested information no later than one week from day of receipt. Be sure that participants get their reimbursements. Write a short article about your DSW and send it to CRA-W with a few photographs. Write thank-you notes and follow-up reports to the other entities (SIGs, companies, etc) who offered supplemental funding. We encourage workshop organizers to publicize their activities within SIGs, and we encourage SIGs to commit to future funding of the workshops. In addition, some organizers hold dinners or get-togethers before major conferences. These get-togethers can act as reunions for past DSW attendees. Aug. 3 – 4, 2016 – 2nd Broadening Participation in Visualization Workshop (BPViz’16), West Lafayette, IN. Nov. 20-21, 2015 – The Biomedical Data Science Workshop at SHILAC’15, San Juan, PR. Oct. 4-5, 2015 – The 2015 Workshop on Supporting Diversity in Systems Research at SOSP ’15, Monterey, CA. May 30, 2015 – Robot Guru Workshop at ICRA 2015, Seattle, WA. May 16-17, 2015 – The GREPSEC II Workshop, San Jose, CA. Oct. 5, 2014 – Supporting Diversity in Systems Research Workshop, Broomfield, CO.
Oct. 4, 2014 – Diversity in Games Research Workshop (DiGR), Raleigh, NC. Sep. 13, 2014 – Broadening Participation Workshop at UbiComp 2014, Seattle, WA. Aug. 17, 2014 – The 4th Networking Networking Women (N2 Women) Workshop, Chicago, IL. July 27-31, 2014 – Broadening Participation in Artificial Intelligence Workshop, Quebec, Canada. May 31- June 1, 2014 – Fostering Diversity in Design Automation Workshop, San Francisco, CA. Feb. 24-25, 2014 – Broadening Participation in Visualization Workshop, Clemson, SC. Nov. 3-6, 2013 – SOSP Diversity in Systems Research Workshop, Farmington, PA.
Aug. 9-10, 2013 – Broadening Participation in Data Mining, co-located with ACM SIGKDD Conference, Chicago, IL. May 18-19, 2013 – The GREPSEC Workshop, San Francisco, CA. May 6-10, 2013 – Autonomous Agents and Multiagent Systems (AAMAS), St. Paul, MN. Aug. 27-28, 2012 – CRA-W/CDC Computer Architecture Summer School, Evanston, IL. May 5-6, 2012 – Computer Human Interaction Mentoring (CHIMe) Workshop, Austin, TX. April 27-28, 2012 – Broadening Participation in Data Mining, co-located with SIAM Internation Conference on Data Mining, Anaheim, CA. March 26, 2012 – The 2nd Networking Networking Women (N2 Women) Workshop, Orlando, FL. Jan. 24, 2012 – CRA-W/CDC and SIGPLAN Programming Languages Mentoring Workshop, Philadelphia, PA.